Pests can have harmful effects on your health and your family’s health. Hence, it is important to fully understand the dangers stemming from the kind of infestation your home is suffering from. Common house pests such as fleas, cockroaches and mosquitoes can transmit deadly diseases to humans including malaria, plague, dengue, and surprisingly Asthma! Yes, you heard it right. Cockroaches are the pests that can cause child’s asthma, and they also carry millions of pathogens and bacteria cells along with them. So, drag these dangerous species out of your home. 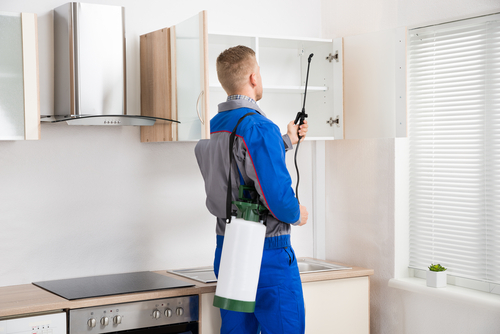 The people working in a pest control service are completely trained, and they expertise in killing pests and handling poisonous chemicals that are used to kill pests. So, wouldn’t it be wise to hire a pest control service, and let the experts work with the chemicals instead of us? A wrong elimination method tried out by us can lead to a massive accident risking the family members’ lives. But when technicians need to use products that can be hazardous, they have the expertise to ensure the safety of your family. Many pests’ bites cause severe allergies and itching all over the body. But, if you hire a pest control service to eradicate these stinging pests, then you can prevent your family members from being attacked by these dangerous insects. Allergies and itching sensation are mostly caused by Bed-bugs, fleas, spiders, mosquitoes and many others. Therefore, if you find any of these insects dwelling in corners of your home, that too with its whole battalion, then immediate call a pest control service provider and kill them right away. It’s said that, the better you sleep the more your health gets better. But, when you have creepy pests all around your home, especially the bed bugs, will you be able to sleep soundly? No way, isn’t it? The pest controls services will not only take care of the problem, but perhaps even help promote better sleep for you. So, if you are going through tough nights, hire a pest control service immediately. When you hire a pest control service, they are not going to provide you with just a single service; instead their package will consist of several services that are divided according to a certain time-interval. And these continuous set of services will result in complete omission of the pests for a lifetime, which will further result in a long-term health relief.